PORTSMOUTH, NH – Wason Associates Hospitality Real Estate Brokerage Group (Wason Associates) is proud to share the sale of two New Hampshire hospitality properties – The Days Inn Concord, NH and The Days Inn Tamworth, NH (previously, The White Lake Inn & Tavern). 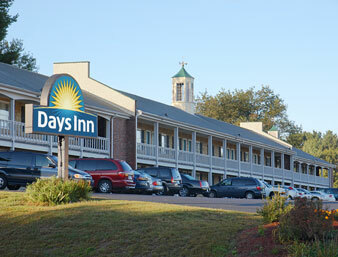 The Days Inn Concord located at 406 South Main Street in Concord, NH was purchased by the Capital Hotel Company VI, LLC from the property’s previous owners, Toral, LLC. The hotel boasts 40 guest rooms, an outdoor pool, and a convenient and highly visible location just off Interstate 93 and 89 in New Hampshire. Financing was provided by Northway Bank. Formerly the White Lake Inn & Tavern, the Days Inn Tamworth was sold to Mike Patel and his wife Bhumi. Since its purchase, the property has been completely renovated, including a new lobby, welcoming breakfast area, and compete renovation of all guest rooms. The hotel sits next to the White Lake State Park as well as one of the largest Snowmobile trail systems in New Hampshire. Financing was provided by Union Bank. Wason Associates is a highly-respected New England-based brokerage firm comprised of professionals who bring a unique combination of financial, banking, and real estate expertise to each transaction. President, Earle Wason, CCIM has over 30 years of experience in the hospitality real estate market. Offering advisory services to both buyers and sellers, Wason Associates provides a strategic, client-centric approach to problem-solving, financial advising, and transaction execution. For more information on Wason Associates, visit www.hospitalityrealestate.com.